Handwriting Input offers support for both printed and cursive writing. 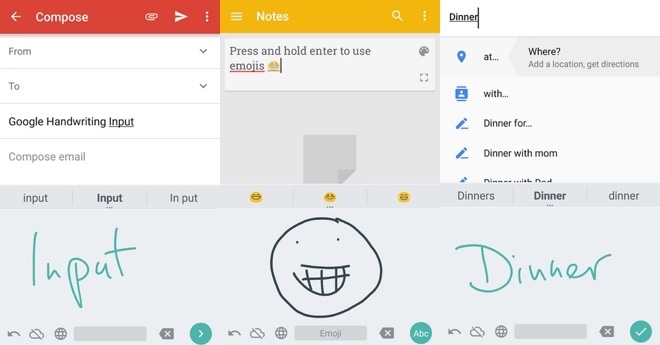 Users can even draw their emojis when using the application. The search giant’s new application should be particularly comfortable for languages, which are difficult to type on a regular on-screen keyboard. Handwriting Input has already gathered close to 60 five-star reviews, so it looks like Google has done a good job with it. Interested? Hit the source link to download the free app from Google Play. Feel free to drop us a line with your thoughts in the comments.